Crimsafe has been protecting Australian families for more than 20 years. Crimsafe revolutionised security screen design, using a woven stainless steel mesh that was not only stronger than other products, but significantly more attractive than old fashioned bars and grilles. Today, Crimsafe is still the industry leader in stainless steel security systems. Patented technology ensures Crimsafe continues to provide exceptional security for homes and businesses in Australia, New Zealand and around the world. Our unique patented technology has been independently tested, and shown to exceed every industry and Australian standard. When it comes to stainless steel security screens, our technology is simply unparalleled. Crimsafe has many imitators, and you might hear the phrase ‘Crimsafe‐equivalent’. But, there is no equivalent. Crimsafe outperforms competitor products in independent testing. So when it comes to the safety of your loved ones, insist on the best. Important Things You Should Know Before Choosing Your Home Security Provider! 1. Why is it important that we employ our installers and don’t contract the installation out? Securelux employ installers so that regular training is provided so that installations can be carried out to our company standards. Installation is the most critical component of your order and our knowledge in the industry allows us to train installers to use the heaviest duty accessories to protect you and your family. Employed installers are given devoted training to ensure the work is completed to our high quality standards. A contractor is paid by the item and this can lead to short cuts taken to get more work completed. Involving a contractor is like adding a third party into the contract and this can lead to difficulties getting all parties to agree. Securelux have over 37 years experience in the industry and dedicated supervisors in the field to provide continuous training and support to our installers for customers peace of mind! The locks in your Crimsafe can be Lockwood or Austral depending on each companies preference. Securelux choose Austral locks and there are a number of reasons behind this decision. The Austral lock from our experience has been designed to handle the harsh weather conditions thrown at us here in South East Queensland. When you combine humidity, heat and wet weather in the space of a couple of days many houses will tend to have some house movement. While other locks can be affected by the slightest movement the Austral lock is designed to provide more tolerance. One of the other reasons we now choose Austral over other available locks is because of the location where the locks are manufactured. Austral Locks are made in Australia where other locks are imported from China. 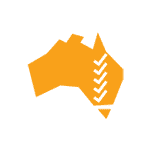 Our experience has shown that the imported products have a lot more inconsistencies with the quality where Austral locks are consistently produced at a high quality. Finally the Austral lock is designed to take more screws in the striker plates of sliding doors than the Lockwood. The Austral Hinged Door plates are installed with Anti! Jemmy Striker plates for extra security. So there are extra security benefits to the Austral locks provided. 3. 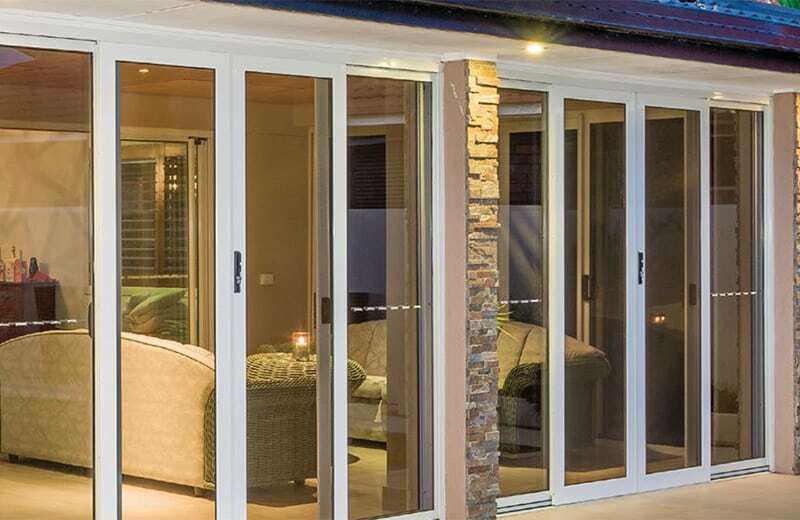 Why do we emphasise the heavy duty interlocking systems on sliding doors? Securelux use a heavy duty interlocking system to enhance the security of your door. The interlocking system is installed at the back of a sliding door to prevent an intruder from peeling the door off from the back in the lock position. Most companies use a light/smaller version which is easier to install but also easier to break‐in to! 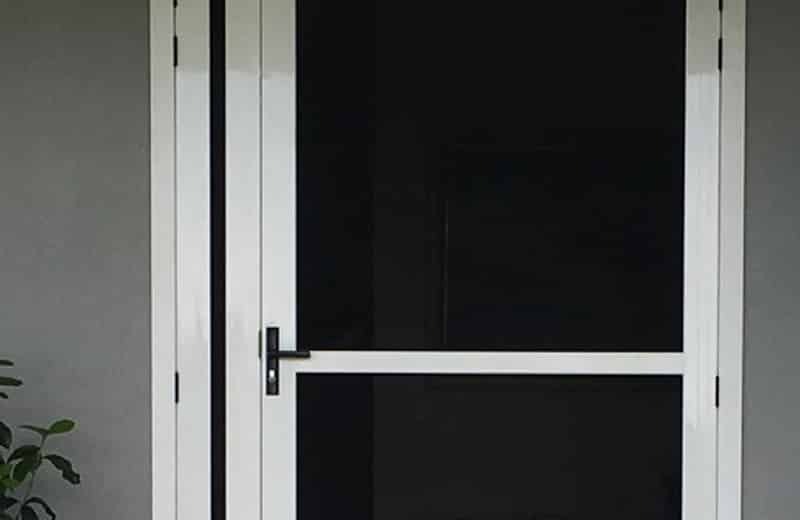 Securelux installers are trained to install Heavy Duty interlocking systems for all brands of sliding doors. To install the heavy duty interlocks our doors are made bigger to allow the interlock to u!lise its greater depth. To provide you with an indication of the extra depth the heavy duty interlock Securelux use is 25.4mm deep compared to the 13mm deep standard interlock. The greatest risk for customers when accepting the smaller interlock is the potential for an intruder to rock a door up and down and peel the door away from the back allowing an intruder unwelcome access! 4. Do top and bottom rollers being installed really matter? The installation of top and bottom rollers allows for a smoother sliding door that can be firmly adjusted by our installers. 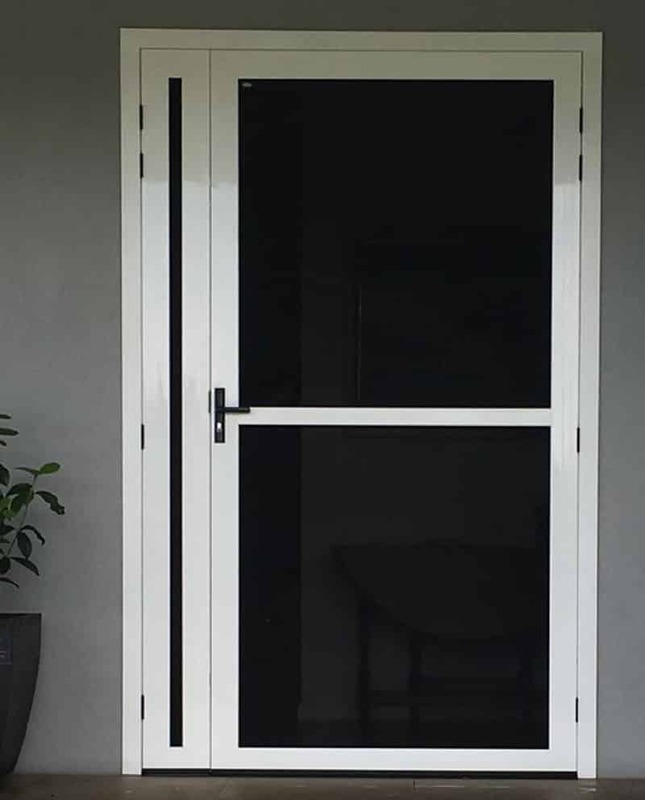 This provides a more secure and a more functional door that you are receiving with your investment. Some companies will only install bottom rollers and install guides at the top replacing the installation of top rollers. Top rollers are an extra hassle for manufacturers and installers that some companies don’t want to deal with but the advantage to the customer is that the door will slide not rock open. Some brands of sliding doors don’t have tracks already available within the system to allow for top rollers. If this is the case then Securelux will install the suitable tracks to create a system that is capable of having top rollers installed. When a company says top rollers are going to be installed make sure to ask them how the rollers will perform in your existing tracks. Securelux install tracks when required to ensure that the security door and the wheels installed are supported to extend the products longevity. Choosing Securelux ensures you have no short cuts accepted at installation. Can you afford for a security provider to short cut on your security? We can’t emphasise enough how important installation is for all applications of your security. Different brands of glass windows require different installations so that weak points can be eliminated. Securelux address this by using selected accessories and installation techniques that comes directly from our experience in the industry. Where possible Securelux will pocket fit the screens (inside the window frame) with full length accessories. This provides a stronger, neater and more aesthetically pleasing installation. Companies may use clips or tabs to install your security. When Securelux face fit the security screens it is to provide a better fixing to ensure a more secure installation has taken place. Where shavings are visible behind the screens, our installers will remove the screws to remove the shavings before fixing the screen off. This takes more !me for our installers but eliminates unwanted gaps that can be avoided. Our installers take extra precautions on ground level stories by adding screws both inside and outside where applicable to eliminate any possible leverage points. Finally some window applications are more susceptible to be jemmied away so Securelux have a range of interlocking systems for different window brands depending on what is required. 6. What happens at the completion of the installation? Once all products have been installed our installers will clean up the areas in which they worked. A vacuum is provided to the installers to ensure that shavings are removed from the area. The installer will also wipe over the the product to ensure no loose shavings are left on the surface of the screen. The installer will then hand you a check list and go through all the features and benefits that have been installed in your home security! The check list will allow you to see how to use your new doors and windows and point out those accessories that were installed. If you have any concerns you will be able to address them with the installer to ensure your peace of mind. We also provide the opportunity to leave feedback about your experience. Our installers are employed by Securelux and are passionate about providing you with an installation that does more than act as a visual deterrent! 7. Finally ask what product is being offered on the quote provided? Regularly we hear customers are getting other quotes and we think that is a great idea! We believe in the product we manufacture, the installation we supply and the prices we provide. We want you to have confidence & trust that the company you select are going to provide your family home with the security that you need to have peace of mind while you sleep! If you decide to compare with an alternative product to Crimsafe we recommend that you make sure that you have a great understanding of how the product itself is assembled at the manufacturing stage. If you are comparing with another Crimsafe Licensee make sure you understand what Crimsafe products are being offered and what accessories and installation they will provide. Finally before making the final decision make sure that you feel 100% confidence in the consultants presentation and that you trust that the installation that their company will provide will stand up if attacked by an unwelcome intruder. 10 Reasons to Secure Your Home Now! It’s holiday time! When you go away on holiday the last thing you want to be stressing about is your homes security. An empty home can provide intruders with time to find a way in. Security Doors and Windows that are installed correctly are a great deterrent to preventing unwanted access. You’re new to the neighbourhood! One of the first things to consider once you have moved into a new home is whether your security needs to be upgraded. You have a young family! Protecting your children would be at the top of any parents to do list. Having a top quality installed product provides you with peace of mind that your family is safe day and night. We hear confronting stories all the time and don’t want anyone to go through these experiences. You work away from home! If you regularly work away from the family it is a good idea to get security so you can provide them with protection while you are away. You have pets! We all treat our pets like our little children. Don’t reduce your security by leaving the side door open for them to roam in and out. Secure your door and install a petway! Outside noises keep you up at night! It always seems to be noisier outside your window when you are home by yourself. Have peace of mind by securing your bedroom windows. The air conditioning bill is rising! Okay some days in summer are unbearable but other days we would get the airflow we need by leaving our doors and windows open. Secure them and you won’t need to stress. Who is at my front door! Timber doors are pretty hard to see through, having a security door allows you to see exactly who is at the front door and whether it is safe to open. You’re building a new home! Most building companies offer a barrier screen of some sort but contacting Securelux allows you to talk to industry experts that focus on security only! Keeping insects out of the home! Security doors are there to protect you from intruders big and small. When you want the airflow in your home feel safe by knowing you won’t be invaded by flies! Crimsafe is the strongest stainless steel security screen system on the market. That’s no empty boast – we have the results to prove it. Standards Australia assisted the security screen industry in developing the standards used to test security screens. At Crimsafe, we don’t just meet the Australian Standards, we exceed them. 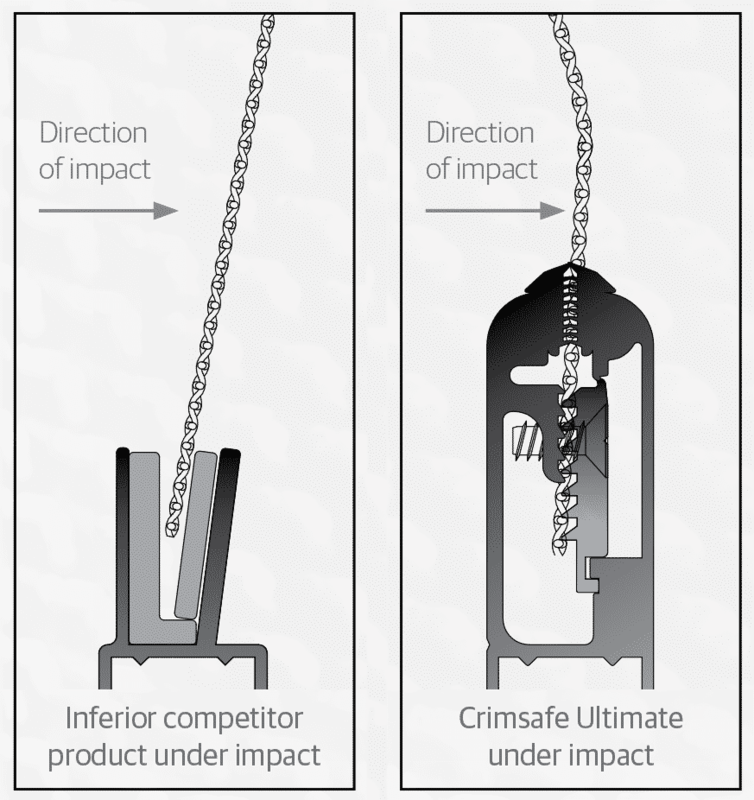 When it comes to impact resistance, Crimsafe has an outstanding reputation that’s backed up by independent testing. 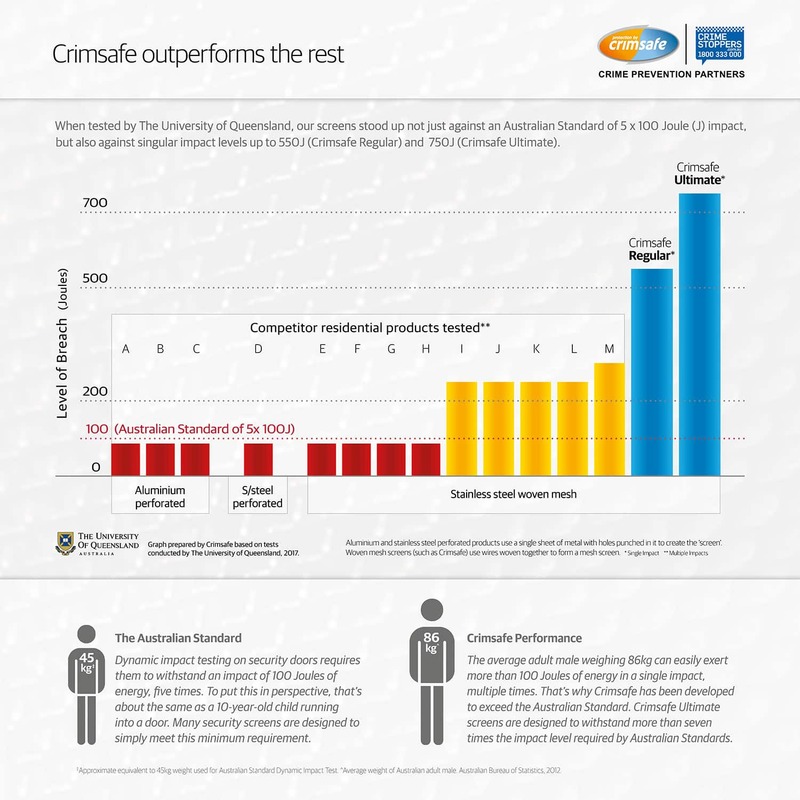 When tested by The University of Queensland, our screens stood up not just against an Australian Standard of 5 x 100 Joule (J) impact, but also against singular impact levels up to 550J (Crimsafe Regular) and 750J (Crimsafe Ultimate). Crimsafe easily exceeds the Australian Standards required. 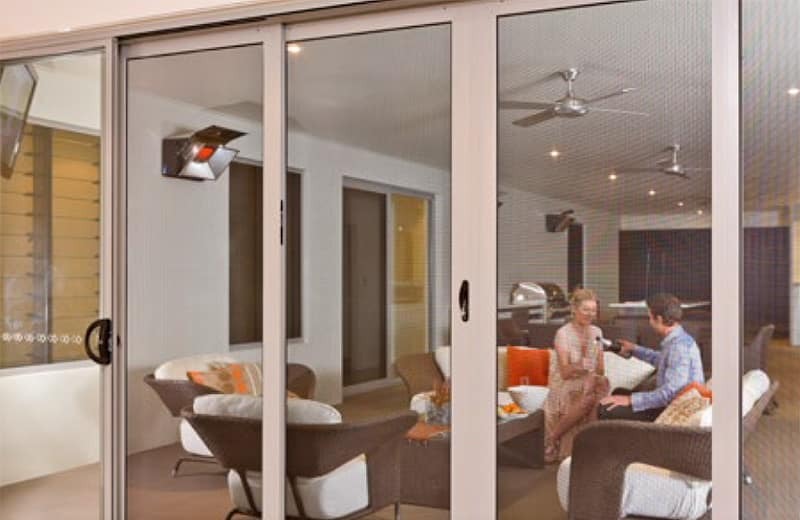 The design and strength of Crimsafe security screens will protect your family and help keep intruders out. Crimsafe products are tested against dynamic impact and tool attacks. These tests simulate the force of a kick, punch or charge, as well as against screwdrivers and other tools used to leverage apart frames, locks and hinges. Crimsafe reduces solar heat gain by up to 53%. 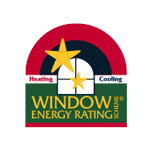 When Crimsafe security screens are applied over a window, the cooling efficiency of the window increases to a 3 Star WERS rating, with a reduction in solar heat gain of up to 53%. 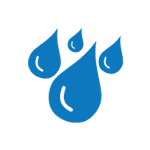 In the cooler months the heating rating increases to a 1.5 Star WERS rating. Crimsafe’s Tensile-Tuff® security mesh also blocks 62% of harmful UV rays from entering your home. 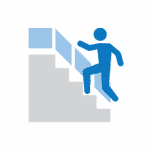 Crimsafe’s strength and durability keeps your family safe by preventing falls from windows and balconies. 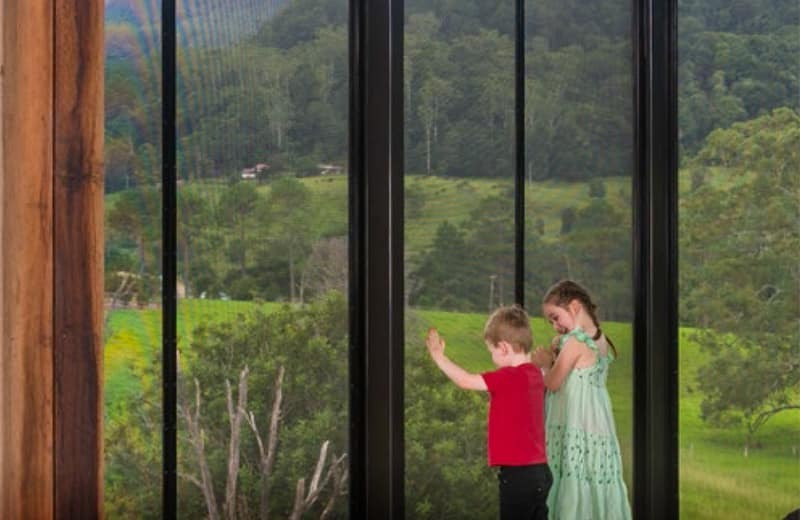 Crimsafe screens meet building construction requirements for child protection of openable windows, providing safety without compromising the look of the window. Crimsafe screens provide protection from ember attack, reduce radiant heat and will protect glass from the impact of burning debris. 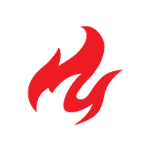 When tested, Crimsafe screens achieved a fire attenuation rating of 59%, meaning that 59% of radiant heat on one side of a Crimsafe screen does not transfer through the screen. 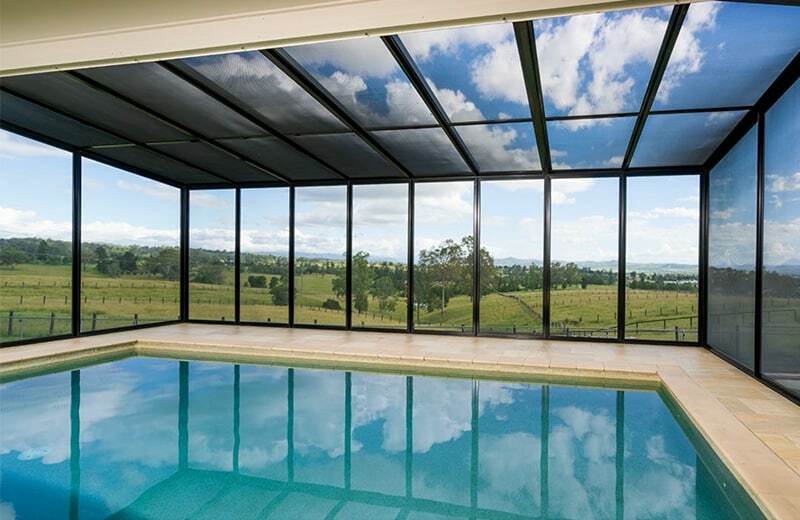 Crimsafe security screens can be used for the highest level in bushfire protection (BAL-FZ). 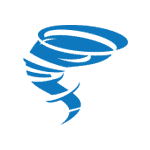 Crimsafe protects your home against violent, debris-carrying winds of cyclones and severe storms. Crimsafe security screens passed cyclone debris tests, meeting the 36 m/s requirement, which means they are approved for use in Cyclone regions C and D. Our specialist Cyclone Debris Screens pass the highest levels for cyclone debris screening in regions C and D, withstanding impact up to 44 m/s. Crimsafe security screens are designed to last, even when exposed to the elements. All Crimsafe products can withstand 3,000 hours in a Prohesion Accelerated cyclic test. Alternating salt spray and dry cycles, the test simulates the equivalent to 30 years of environmental exposure. 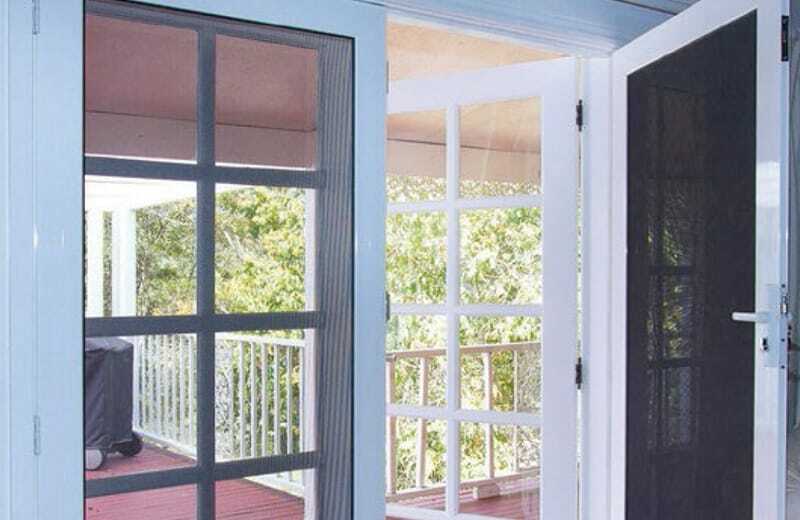 Crimsafe security screens keep pests and insects out of your home, without sacrificing airflow. 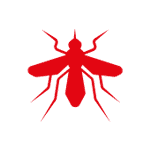 Crimsafe’s Tensile-Tuff® security mesh has been tested for its ability to keep mosquitoes out. Over 72 hours, the mesh prevented 99% of mosquitoes from passing through. Our unique patented technology is unmatched in the industry. This, along with our made-to-measure approach, is the reason Crimsafe outperforms the competition for strength testing. What makes Crimsafe so strong? Crimsafe’s Tensile Tuff® mesh uses 0.9mm,* 304 grade stainless steel. This means the mesh is heavier and has up to 26% more material than most other mesh products on the market that use 0.8mm wire, making it harder to cut or penetrate. Crimsafe uses exclusive Screw-ClampTM technology, which bites down on the mesh in a vice-like grip, holding it into the frame. This allows Crimsafe to withstand tremendous force by absorbing and dispersing impact, strongly resisting being pulled out of the frame. Crimsafe Ultimate is the new generation of Crimsafe, incorporating patented assembly technology. Its snap-on cover and heavy-duty clamping system make Crimsafe Ultimate 40% stronger than our regular product. 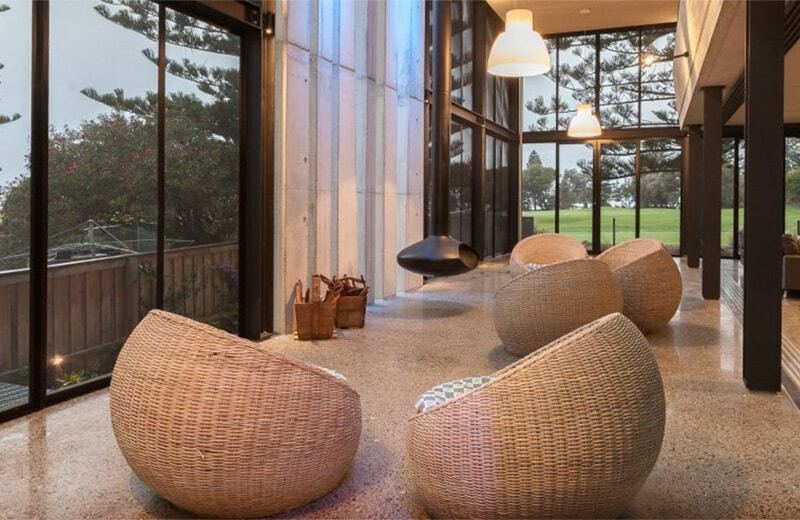 The smooth curved profile creates a streamlined look to complement any architectural style. *The specifications pertaining to the mesh and other products that we supply are our target specifications. The actual specifications for items supplied may differ taking into account reasonable manufacturing tolerances. 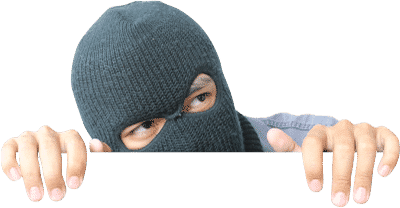 While other look-alikes claim strength and durability, Crimsafe Ultimate delivers real protection from the threat of an intruder breaking into your home. So what’s the difference? Most look-alike screens have mesh that is held in by plastic or metal wedges. When kicked, the wedges give way and the mesh can pop out in seconds. Look-alike mesh that doesn’t use 0.9mm Structural Grade 304 stainless steel is not as strong. Look-alike products cannot secure the mesh with the same strength as Crimsafe. Crimsafe frames are powder‑coated in a wide range of standard colours, and custom colours are available on request. Woodgrain and anodised finishes are also available. Crimsafe has an ever-growing range of products designed to suit any home. Custom made-to-measure, Crimsafe ensures a perfect fit, even for unusual sizes and out-of-square openings. 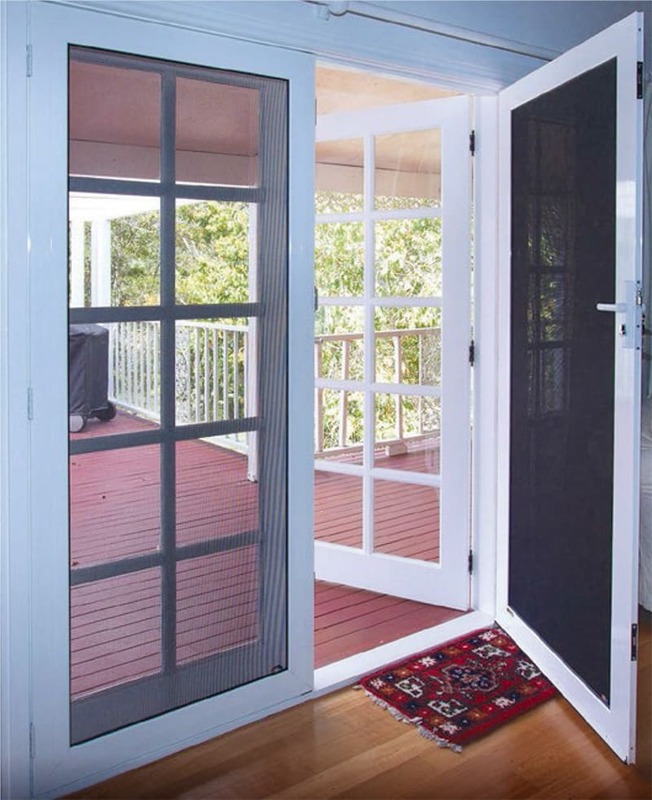 Flexible framing systems can be applied to fixed, hinged or sliding openings, as well as French, bi-fold and stacking doors. Crimsafe’s patented Safe-S-Cape® system provides a quick exit in case of emergency. A one-touch system that can be operated from the inside, without compromising security. 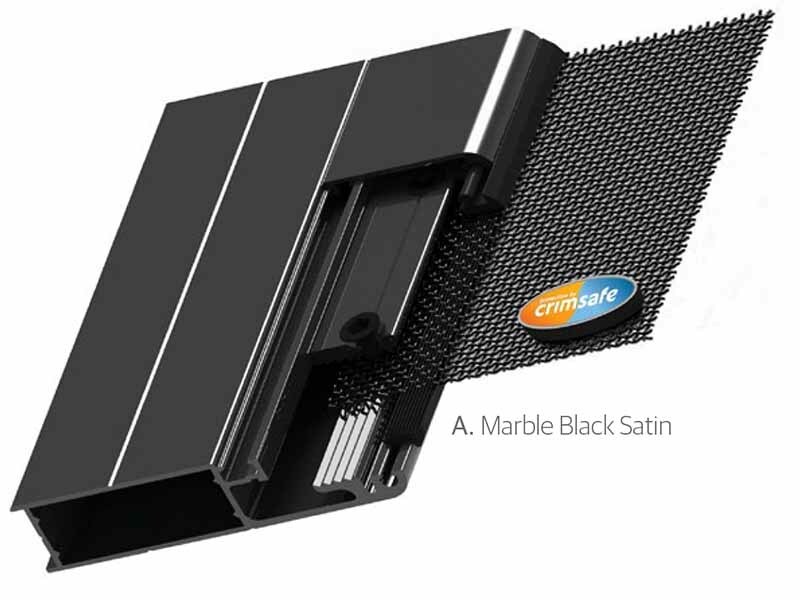 Crimsafe can even be used in balustrading and patio enclosures. 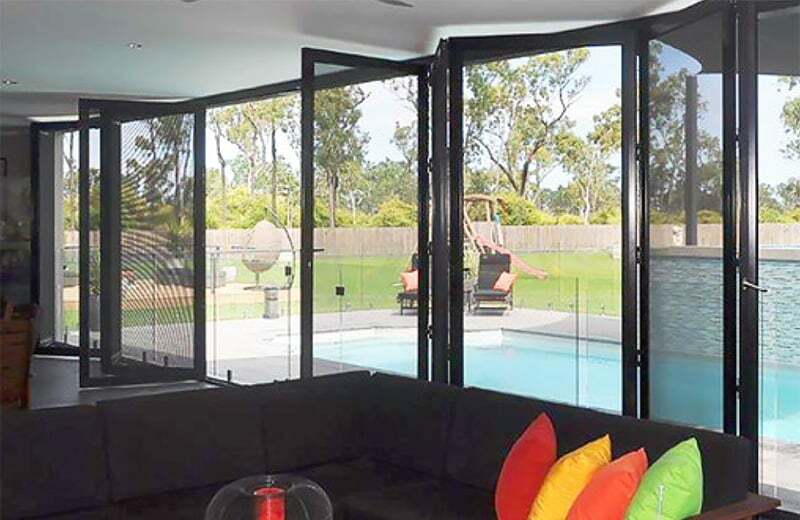 Whether your home is a contemporary or heritage design, a house or apartment, single storey or high-rise – Crimsafe screens provide maximum security, as well as a huge range of functional benefits like heat protection and UV resistance. Crimsafe comes with a standard 10 Year Warranty or you can apply online for an Extended Warranty up to 15 years. Crimsafe has many imitators. Only Crimsafe Authorised Licensees can supply and install genuine Crimsafe products. We are often contacted by people who think they have a Crimsafe door, only to discover it is not a genuine Crimsafe product at all. Don’t be fooled by imitation products. There is no ‘Crimsafe‑equivalent’.